I still remember the first time I met Elia Locardi. I was busy passing through the vendor exhibits of the Photo Plus show in New York, when I saw a small crowd of people watching a presentation. What attracted me was not the crowd, because people were everywhere – it was the large LCD screen with some stunning imagery. At first, I stood there and paused for a moment, enjoying the fine scenery in front of my eyes and as I continued to hear the story behind each photograph, I came closer to the seating area and sat down. It was the Fujifilm booth and the young man with long blonde hair giving the presentation seemed to be very enthusiastic about his story and his technique of blending photographs. I did not even notice how quickly time went by – I probably sat there for at least 30 minutes, getting myself immersed into the presentation. At the end of the presentation, most people left and I just sat there. I really wanted to meet the man face-to-face and get to know him. As I started talking to Elia, I realized that he was not just an amazing photographer, but also a very down to earth guy. I also got to know his equally friendly and welcoming wife Naomi Locardi, who was there to support her husband every step of the way. At the end of our chat, I had a feeling that I had known Elia for years: that’s the type of a person he is. Since then, I have met Elia a number of times and I have been wanting to post about Elia and his work at Photography Life. Sadly, due to Elia’s crazy busy schedule and continuous travel all over the world, that project never materialized, but I am still hopeful that he will share some of his experience with our readers (Elia, it is never too late!). 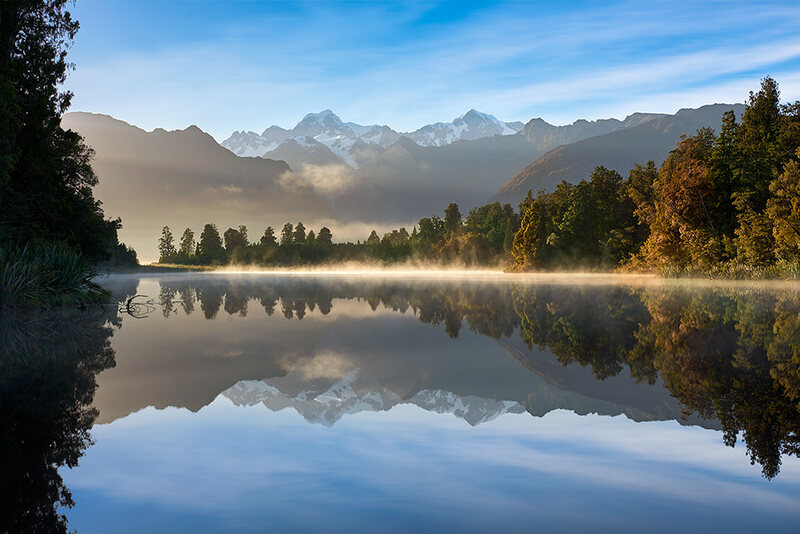 Fast forward to last July, when I found out that my good friends Patrick Hall and Lee Morris at Fstoppers.com collaborated with Elia Locardi in creating a brand new tutorial called “Photographing the World: Landscape Photography and Post-Processing“. Having seen some of the tutorials that Patrick and Lee produced in the past, I knew this one was not going to disappoint. With 15 lessons and over 12 hours of video content, this tutorial was one of the most complete and detailed ones I have seen to date. My biggest problem, however, was finding time to watch the content. I really wanted to sit down and watch through each video without skipping through, which was a huge challenge on its own, since finding time has been really tough, considering all the fun projects I have been working on. John Bosley and I were also busy working heavily on releasing our own first video course, the Level 1 Photography Basics, so all my plans on personal development and learning from Elia’s tutorial got postponed. Yesterday, I finally finished watching the last video and I have to admit, I regret not doing it earlier. Throughout my photography journey, my biggest challenge has always been Photoshop. I know Lightroom pretty well and that’s what I use primarily for editing my photos, but when it comes to Photoshop, I cannot similarly cruise through it with ease. And I guess that’s pretty much a given for many of us, since Photoshop is complex software, giving the flexibility to achieve the same result using many different tools. That’s why many of us get so easily confused with it – we see one tutorial that shows the best way to do something, then we see another, which uses a completely different technique, leaving us wondering which one is better. But what’s worse, we easily forget both and then after a while, try to remember the steps, failing miserably to replicate them. Sounds familiar? Well, you are not alone, because I too have exactly the same challenges. While Photoshop masters that work with the software on a daily basis can easily find solutions to every problem, many of us are not at that level, continuously struggling with establishing specific workflow steps. So if someone offered me a solution, which covers specific techniques in detail, allowing me to go back and re-learn the same steps, serving as my “reference material” in the future, I would be glad to pay for such a solution. And that’s exactly what Elia Locardi does in this tutorial: he shares his specific methods of post-processing, starting out with some relatively easy steps, then moving on to more advanced techniques towards the end of the tutorial. And for me, that’s the biggest value I got out of this tutorial – post-processing in Photoshop. Every lesson in this tutorial is organized in two parts. 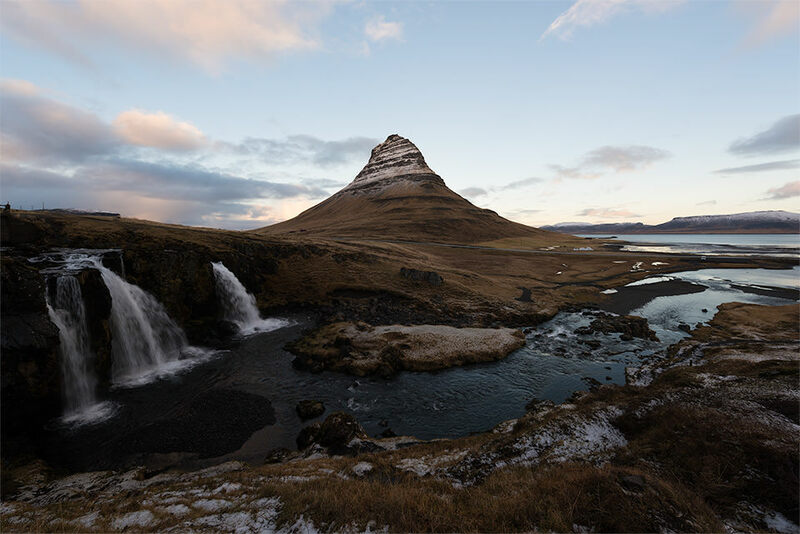 The first part shows Elia on location, whether it is the beautiful winter landscape in Iceland, or the colorful sunsets of New Zealand. Elia first showcases the location, then talks about his camera techniques, talks about composition, why he framed the subject that specific way and how he plans to photograph it. While at it, he also talks about what he is planning to do in post-processing with the photo, which is always important, as it allows one to visualize the end result before the image is captured. Then, the video continues with the second part, where he takes what he has done in the field into Lightroom, performing some basic adjustments before the image is finally taken into Photoshop, where advanced adjustments are made. When it comes to production quality, this tutorial is a visual stunner (as the intro video above proves). After watching the footage, I can honestly say that very few can actually deliver quality of work that is this good. Patrick and Lee at Fstoppers having been making video tutorials for several years now. While I have seen some of the content they have produced in the past, I can tell that they have learned a lot along the way – this tutorial looks far better than anything they have done so far. Throughout the lessons, you will see amazing drone footage, all kinds of timelapses and other interesting material to not only supplement the tutorial, but also give you the feel of reality and presence. Patrick and Lee carried tons of equipment with them on every scene to make this happen and it definitely paid off. As you can see, it is really funny and entertaining. You will find 8 of these BTS videos – they are all included as part of the tutorial. Let’s now go over some of this tutorial and see what value you might potentially find in it and understand whether this tutorial is for you or not. The tutorial is organized into a total of 15 lessons. The first lesson starts out with gear, where Elia spends a little under 40 minutes talking about his gear: cameras, lenses, tripods, filters and other accessories he uses in the field. He goes over his camera choices, which includes the Nikon D810 and the Fuji X-T1 and spends some time explaining why he uses specific lenses for both camera systems. The second lesson is called “Introduction to the Basics”, where Elia gives a crash course to the camera and exposure basics. Under 50 minutes, this crash course is in no way intensive and it is not meant to be – Elia only goes over the most basic things, to serve more as a quick reference for those who are starting out. To be honest, I personally think that this lesson should have been excluded from the tutorial, since basics really don’t belong with the rest of the material, which is more advanced in nature. It feels like an afterthought, more like a filler than anything else – perhaps Fstoppers and Elia wanted to make the tutorial appealing for everyone, not just advanced photographers. At the same time, perhaps it is not a bad idea to start out with some basics, so that the person does not immediately feel intimidated with the learning curve. Keep in mind that I am writing this based on my experience, which is obviously going to be different than everyone else’s. Still, if you feel like you know your camera and your ways around exposure, I would skip the first two lessons and get into the “meat”. The whole point of this tutorial is to show real-life shooting environments, then take photographs into post-processing software in order to work the way through the final image. And that’s where the meat is! 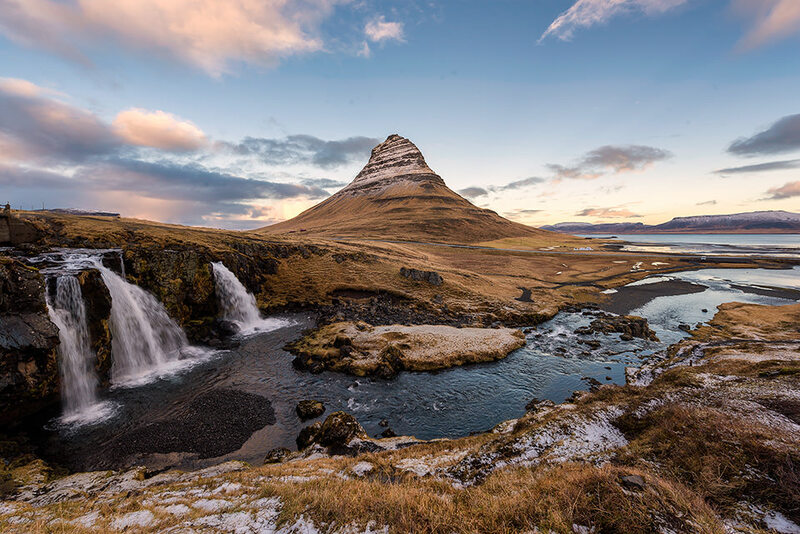 The first real lesson starts with the beautiful and iconic Kirkjufell mountain in Iceland. 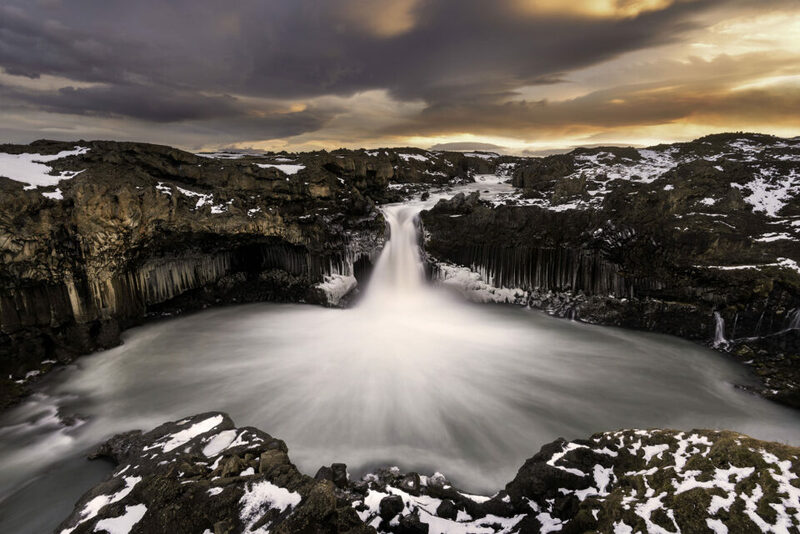 Elia starts out by pointing out the location, talking about its features, best angles and viewpoints from where to photograph, then shows what compositions work best with the mountain and the flowing waterfalls. It is a pretty easy lesson to cruise through, because Elia kept it fairly simple – a great way to dive into the tutorial. Once he takes the photos he wants, he then moves on to the post-processing part. Again, Elia starts out easy here – he first explains some of the basic sliders in Lightroom, then moves on to explaining his workflow and why he does things the way he does. Although anyone can easily go through this material, don’t expect any foundation material in this lesson – the pace and the learning curve might be a bit too fast for those who have never used Lightroom before. 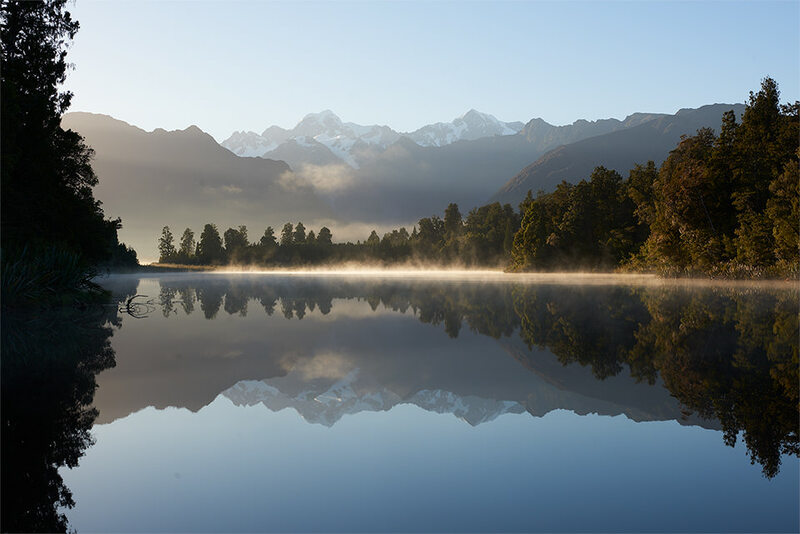 With each lesson, Elia only covers what works for that particular photo, so you won’t get multiple case scenarios for each slider and feature of Lightroom. Again, that’s not necessarily a bad thing – this tutorial is not meant to be a Lightroom or a post-processing basics tutorial in the first place. From there, he takes the photo into Photoshop and also does a quick crash intro into the specific tools, plugins and functions he uses. I would highly recommend to pay close attention to the first few lessons, because if you fast forward to other lessons, you will have a hard time understanding and following the flow. You will find plenty of images like this in every video. And the beautiful thing is – Elia was kind enough not only to provide the original RAW files, but also the final Photoshop PSD files, so that you can see every step of post-processing that he went through. I can tell you that very few photographers out there are willing to provide such material with each chapter! The rest of the material is built like a step ladder – things get more complicated towards the end, particularly when it comes to post-processing. And that’s what I really liked about this tutorial, as it really builds you up. In between, Elia also goes over specific techniques that he uses for both photographing the subject and post-processing. Lesson 4, for example, is about using the shooting technique for stitching panoramas, while Lesson 11 is all about focus stacking and why at times it is a necessary technique to get every object in the frame looking sharp. Now that’s not to say that Elia does such kind of manipulation to all of his images – I am not trying to mislead my readers into such thoughts. While Elia is certainly known for blending scenes at varying times of the day to create a beautiful composite, he practically never heavily manipulates his photographs. Lesson 12 is more of a demonstration of Photoshop capabilities – he leaves it up to the viewer to decide whether it is appropriate to use such techniques. The most important take away from me personally in this tutorial, is the importance of post-processing, especially when it comes to working on those “portfolio shots”. I often come back with beautiful images, but my lack of expertise in Photoshop leaves my images looking unfinished. I know there is something missing and I know I want to come back to it in the future, but I rarely ever do. Part of it has to do with lack of time – I shoot a lot, often with all kinds of different gear. If I work for more than a couple of minutes on each image, my readers will be seeing a lot less of my photographs and the content that goes along with them. At the same time, I do realize the importance of highlighting my capabilities as a photographer and educator to my readers, so I do have to step up and continue learn and enhancing my skills. Elia’s tutorial has helped me tremendously in understanding some of the functions and tools within Photoshop. While I could not immediately put what I have learned into practice, as it would take a lot of trial and experimentation, I am planning to go back, re-watch the videos and continue my learning process. If you find yourself stuck where you are at, I would highly encourage you to look into this tutorial. It will help grow your skills, as it did for me. It will not only blow you away with its eye-candy footage, but also give you a tremendous opportunity to learn how to photograph and post-process landscapes. At $300, it is not a cheap tutorial to buy, but in my opinion, it is worth every penny, as you will get a lot of value out of it in the long run. I have seen many different tutorials in the past that cost even more than this one and I will be honest – very few of them were actually worth the investment. Is it perfect? No, it is not. As I have pointed out, there were some things I did not like about it. There were also a couple of minor education errors that I pointed out to Elia. But that’s not a big deal, as none of them were really critical. I have seen far more errors and misconceptions from other photographers in other educational material. We are all humans and we all make mistakes (and that first and foremost includes myself!). Overall, I have really enjoyed this tutorial from Elia and Fstoppers. I would say that it is one of the best video tutorials I have seen to date, particularly when it comes to post-processing landscapes. While I personally would not recommend it for beginners, I believe those who know how to use their gear and have their basic ways around Lightroom and Photoshop will get tremendous value out of the “Photographing the World: Landscape Photography and Post-Processing” tutorial. Kudos to Elia and Fstoppers for making this excellent video. You can purchase this tutorial for $299 through FStoppers Website. Looks like a fun crew. I was standing at that very spot at Kirkjufellsfoss in Iceland a few months ago. The weather is definitely tricky, at least when I was there and it looks like when they were too. From what I’ve heard, when the weather isn’t tricky, tourists abound. It is not the photographs who have changed the tourism here in Iceland, its the hollywood movies recorded here. I remember stumbling upon this tutorial, watching a few samples a falling in love with them. I agree with everything you say in this review especially that the production quality is top notch. I also remember thinking “Wow I don’t believe that I’ll pay 50 bucks for a tutorial video, I have never paid that much for any digital content in my life (excluding software)” I had to assume it would be expensive and 50$ was my guess… As much as I love them and admire their work I think that 299$ is waaaaaaaayyyyyy over the top. I know that photography is an expensive hobby but come on! 299? Thank you Nasim for the review, excellent as always, I’m a big fan of your writing. That’s the way we have been explaining our video as well. What John and I have produced is a foundation course, something you can always go back to and refresh your memory. Unfortunately, I don’t think the audience for this type of tutorial is enormous even if it were priced much lower. Further, this would have been a very high cost production (traveling with a crew is not cheap!) so in orrder to recoup their costs and turn a profit they have to price it high. I suspect that sometime in the next year they will run some holiday promotions where you can get it for 30-50% off. Sceptical, you are very right – cost of production is indeed high. If you want to get the tutorial at a discount, it is sure worth waiting for the holidays – I believe Fstoppers had holiday promotions last Christmas. I don’t think they did a 30% discount, probably more like 10-15%. I must say that I disagree with you. In the process of learning photography, which is unfortunately reduced to only knowledge available online, I consider that Elias tutorial is the best spend money. This and several tutorials from Ted Gore. I bought both series of tutorials from Elija and I could not be happier. I learned so much, all knowledge costs and teacher must be well paid. Wow, quite a teaser, sounds like an excellent course. Personally, I’d rather wait for PL #2! But later on, when I’m ready to take on more serious post-processing tasks (and have the gear for it… my current PC is in a desperate need of an upgrade), I might consider signing up. I agree with Kris that $300 is very expensive, I would really only sign up if I knew for sure that I’ll be able to follow these processes in my own work. Great recommendation though, certainly seems like very solid material. Very well said, I think this should be on the sidebar or main banner of PL in 80pt bold, red letters! I know everyone feels differently about post, but I wholeheartedly agree with the above, and would also draw the line at merging to different images. It’s one thing to use bracketing, and it’s another to borrow a sky from a completely different scene. It sort of violates the integrity of the scene in my eyes. Don’t get overly excited about the sidebar and banner. Nasim has a lunar eclipse shot last year where he pasted the moons in. AP, I made it quite obvious that the moon was a composite. Perhaps you need to re-read this article? I explain everything in detail, including the reason why the moon was put in the image the way it was. I would love to see anyone provide me with lunar eclipse images that arcs in the manner I have shown in the image. Such image does not exist, since the moon never arcs that way – usually it moves up the landscape, not across at such a steep angle. In regards to relevancy, I shot the moon that same night, very close to the location where the landscape itself was shot. When the moon rose, it was at the complete opposite side of the sky and the landscape looked pretty bland, again, as explained in the article. Lastly, it was more about the technique of how the image was shot and composited together – I taught a lesson in the “how was this picture taken” series, similarly to how Elia taught a lesson on how to make a sky composite. Neither Elia, nor myself would ever include such composites in our portfolios, because that’s not what we do. What separates photography from art? When does photography become art? The answer is no doubt subjective and perhaps even ambiguous. I personally think the moment one takes a compositional approach to photography, it becomes art. After all, isn’t composition a set of tools that allows one to express feelings, mood, message, etc., regardless of the medium? And isn’t that what art aims to do? I don’t think masking-in a generic sky on a photo makes it more artistic and less photographic than using a GND filter to enhance the sky, or adjust various parameters in post processing to bring up or suppress certain aspects of the photo. Whether one does that, and to what extent, is subject to style, taste, and purpose. Even though style, taste, purpose, and how they are perceived, differ from individual to another, culture to culture, end even generation to generation, the basic concept of art remains the same, and that is for the artist to convey “something” to the public through a sensorial experience. The tutorial sounds great BTW. inLighted, thank you for sharing your perspective, I really appreciate it. The way I look at it, artwork is typically pretty obvious – something that you see and you know it is a composite. I am currently writing an article about Nikon prize winner, who pasted a plane into a shot and said that he was lucky to capture the shot. That’s just a plain lie and that’s not art. In my view, artwork should be obvious that it is. Using a GND, blending and bracketing techniques to pull the details out that your eyes could see but camera could not, is valid in my view. But copy-pasting a sky from another image is not. When I copy pasted the moon image, I did it as a lesson, similarly to what Elia did and I was very honest about it. I never said anywhere that the shot was real – anyone who knows how the moon arcs would know that it was a composite. I would never use such a shot in my portfolio and I only encouraged it to experiment and learn, to understand how such photographs work. I understand your point Nasim. The premise that a photograph can capture something real can certainly lead to deception when someone inserts something out of the “captured reality” and claims it was there, or fails to disclose the “enhancement”. One could say the same about removing or changing some elements in the photo. A number of journalism photos have been criticized for being altered (see www.alteredimagesbdc.org); one of the most famous being the 1970 Kent State Massacre. Yes, that’s exactly what I mean. This becomes even more prominent when showing images of war and conflicts. If an image is manipulated heavily, especially if it changes the actual story of what happened, that’s no longer a photograph. Instead of showing reality, the photographer is potentially showing political bias, which is very bad. In landscape photography, using techniques to recover lost data, boost colors and saturation for presentation in my view is acceptable. I also don’t mind removing some of the distracting objects in the scene in post, such as foot prints, branches and rocks that look out of place – the key elements are still all there. I would much rather do it in post than disturb the natural scene. As long as the changes are not too drastic, where I am not inserting large rocks, skies, mountains, trees and other objects, it is acceptable in my view. But that obviously does not work for war photography, where every element is potentially important. Inserting smoke in the air, or another missile as shown in your link is completely unacceptable, as that leads to exaggeration, creating stronger emotions – it alters reality. This course sounds tempting. I find landscape and night photography very challenging (for very different reasons). I am frequently dissatisfied with my landscape photography due to poor composition. I have a tendency to want to include too many elements that are not well enough connected. Nasim, do you think this course covers enough composition – beyond basics- to make it worthwhile? Sceptical, to be honest, I think the course benefits mostly in post-processing. Although Elia does show what he does in terms of framing and composition, there is no detailed coverage of composition and how it applies to landscape photography. I teach a lot of that during my workshop and we are planning to release our own video that will detail the process of visualization and composition, but that won’t happen probably for another 6-9 months. John and I will start working on our workflow and post-processing video next. The plan is to do the landscape one after that. I will look at your landscape class for sure. It is my hope that it would be at the intermediate to advanced level. Sceptical1, have you read the composition articles Nasim has under Photography Tips? They are excellent. Also, I highly recommend Ian Plant’s book, “Visual Flow – Mastering the Art of Composition” www.ianplant.com/index). That book is changing the way I look at a scene and how I aim my camera. Ian Plant is a fantastic photographer for sure! I will get his ebook based on your recommendation. I did not about that book by Dan Ward. It sounds very interesting so I will look it up. Thanks for the tip! As somebody who has really only started out with digital landscape photography in the last couple of years, I am still spending most of my available money on setting myself up with the right gear and therefore (like many others in my position) $300 seems like a huge amount of money to me to spend on a tutorial, even though I am a huge fan of Elia Locardi! I don’t mean to say that the tutorial isn’t worth $300 (I have no doubt that it is!) but I mean that not many people have $300 to spend on a tutorial when starting out, as having paid for the more ‘exciting’ stuff like a camera and maybe a couple of lenses, there is then the ‘boring’ stuff to buy such as a good tripod, filters, storage, a decent back-pack etc. 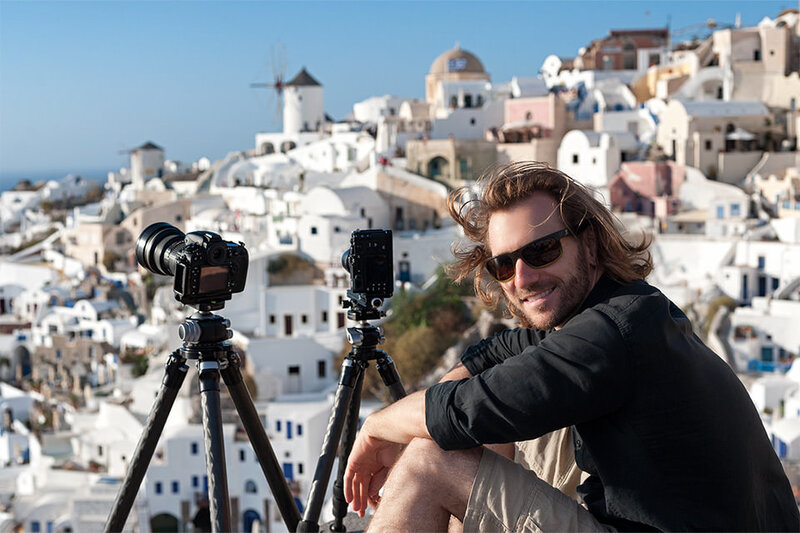 If I ever have $150 – 300 to spend on a tutorial my first choice would be either the Photography Life or Elia Locardi tutorials, as I have found the free content on both of your blogs invaluable as a beginner. However as a kind of compromise so that I can continue to learn from those whose work I admire and whose opinions I respect without such a huge outlay up front, I would recommend to any others in my situation the UK magazine On Landscape. I pay £3 every two weeks via Paypal and this gives me access to all of the back issues of the magazine and articles can either be viewed online or the whole magazine can be downloaded as a PDF. There is a mixture of articles concerning photography techniques, gear reviews, composition, philosophy and interviews, although what I have found most invaluable is the video content which includes plenty of Lightroom and Photoshop tutorials. Many of the UKs most prominent landscape photographers contribute including Joe Cornish and David Ward (both of whom are proponents of making photographs look as ‘real’ as possible), which again I have found to be so helpful – watching Joe Cornish take an image from his Linhof through Lightroom and Photoshop and to print is just incredible and gave me a much better idea of the whole process. It probably isn’t as thorough and comprehensive as the PL / EL tutorials, but as a cheaper options I would very much recommend it! Samuel Cain, I assure you that I would be happy to replace some of my equipment in exchange for Elia tutorial. Knowledge is the most important thing in most professions and that fact is nowhere evident as in the photograph. It is easy to fall into the trap of spending huge amounts of money on equipment thinking it will therefore make you a better photographer. Believe me, in that I was trapped myself a number of occasions. In the end, what allows us to bring home a good picture is knowledge and only this. At first when I read this article I think I’m interested in this tutorial, but when I see the price…Wow. It’s so..so.. expensive. So in this case Fstopper’s sponsorship could not help this tutorial to reach more people. When comparing with Creativelive.com that they provide a lot of good photography courses & the price isn’t so high like this one. More than that we can watch for free when it’s on air & then decide to buy it or not. I hope if this tutorial drop down to 50% in the future I maybe reconsider again. This time I ‘d better keep reading Nasim’s.